Kirstjen Nielsen is scheduled to meet with more than two dozen sheriffs in McAllen. Kirstjen Nielsen, the secretary of Homeland Security, visited the Rio Grande Valley on Thursday to meet with local law enforcement. Nielsen was scheduled to meet with more than two dozen sheriffs in McAllen as part of a roundtable discussion. They’ll discuss their involvement in the 287(g) program, which allows local and state law enforcement to collaborate with immigration officials. Nielsen will also discuss operational challenges and outline strategic objectives. 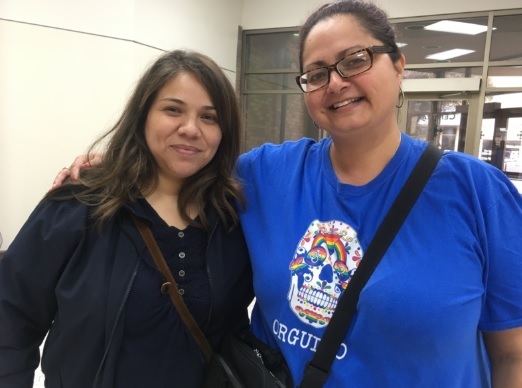 But local activist Gabriela Zavala hoped the conversations touched on more than just policy. This week the federal government announced they would release detained migrant families in the Rio Grande Valley Border Patrol Sector because Customs and Border Protection said they don’t have enough space. Some local organizations and Valley residents, like Ricardo Garza, a staff attorney with the Texas Civil Rights Project, question the timing of the mass release of people as Nielsen arrives on the border. The Texas Civil Rights Project also tweeted about CBP’s recent move and said it appeared to be a manufactured crisis. As recently released migrants waited to board a bus to their next destination, some held bags of clothing from local support organizations. Cindy Candia-Luna is a cofounder of Angry Tias and Abuelas, which advocates for asylum seekers. Candia-Luna helped migrants at the bus station and answered their questions about their upcoming trips. She also gave them a list of phone numbers for legal aid attorneys for when they arrive at their final destination. Candia-Luna said she’s happy families are being released, but didn’t like the way it was done. Helping migrants is something Candia-Luna feels personally. CBP said it will continue to work with local and state stakeholders as well as NGOs while the temporary measures are in place.